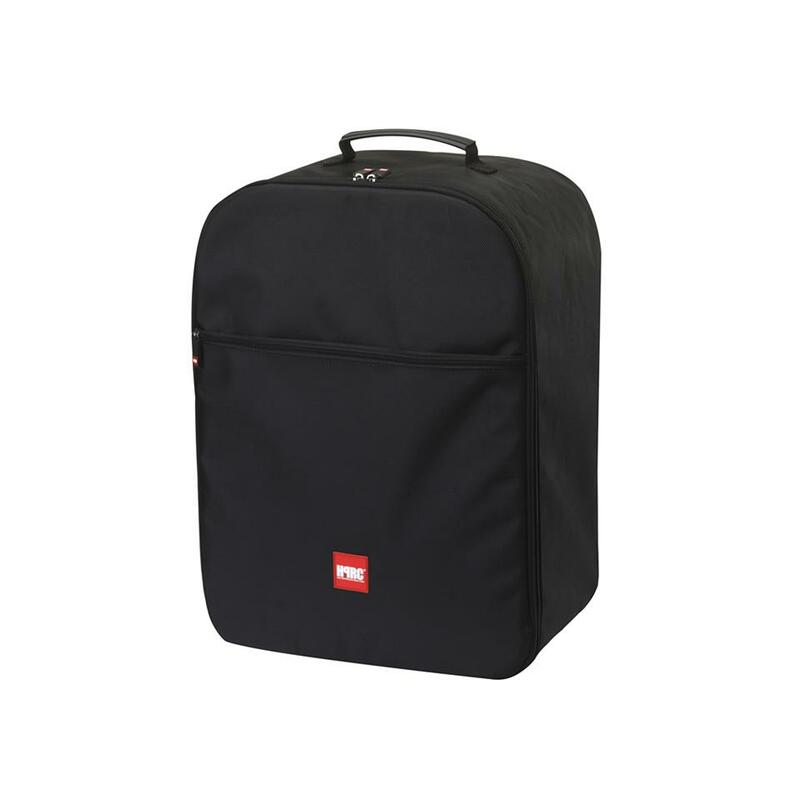 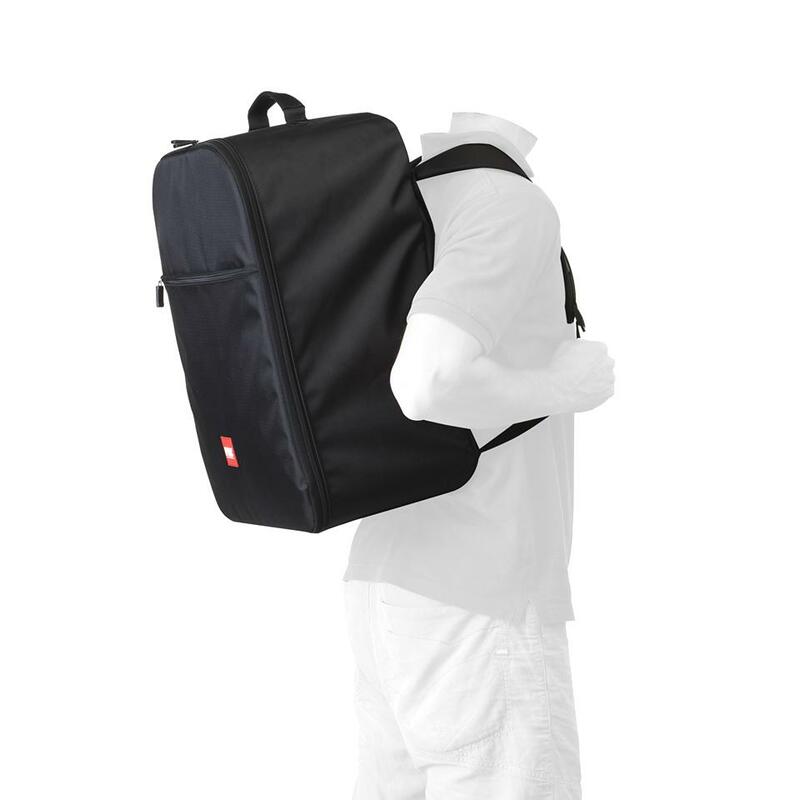 Constructed from wear-resistant polyester, this soft backpack for Phantom 2 / 2 Vision / 2 Vision+ can be worn as a backpack and also features top and side handles to use it as a bag. The backpack harness tucks away under a flap that is secured with hook-and-loop fastener . At 21 x 15 x 9.6", the case is designed to be below the carry-on limit for many airlines (please double-check with your airline and applicable government regulations before travelling as requirements vary). 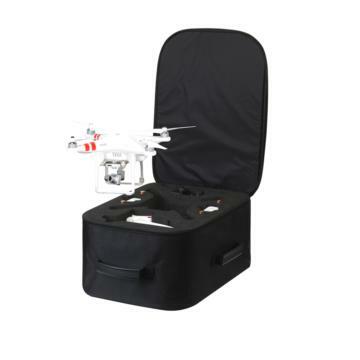 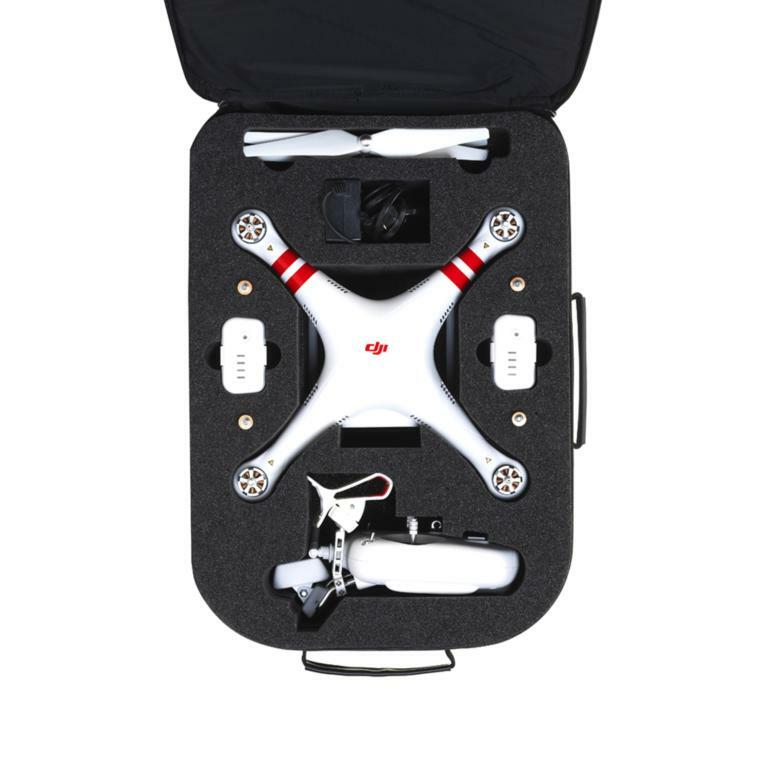 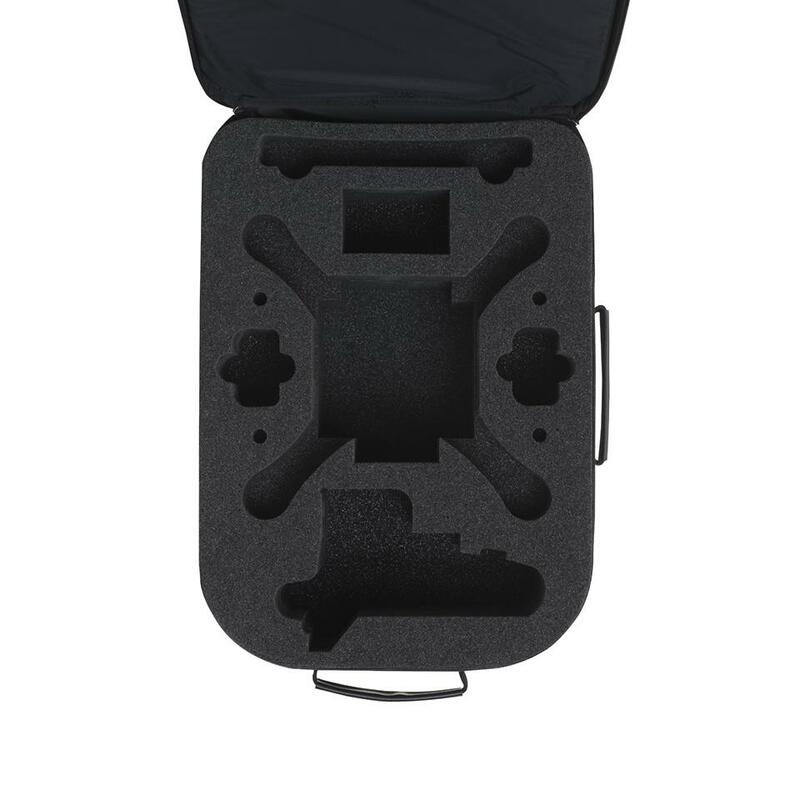 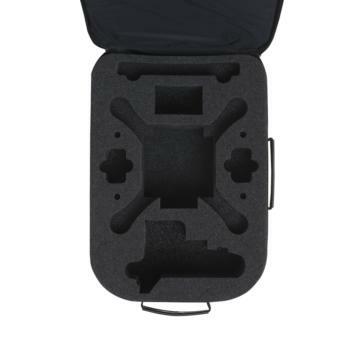 The water-cut foam interior will hold a Phantom 2, Phantom 2 Vision, or Phantom 2 Vision+ without props, and has accessories slots for two flight batteries, the transmitter (radio controller) with smartphone holder, two sets of props, AA batteries, and more. 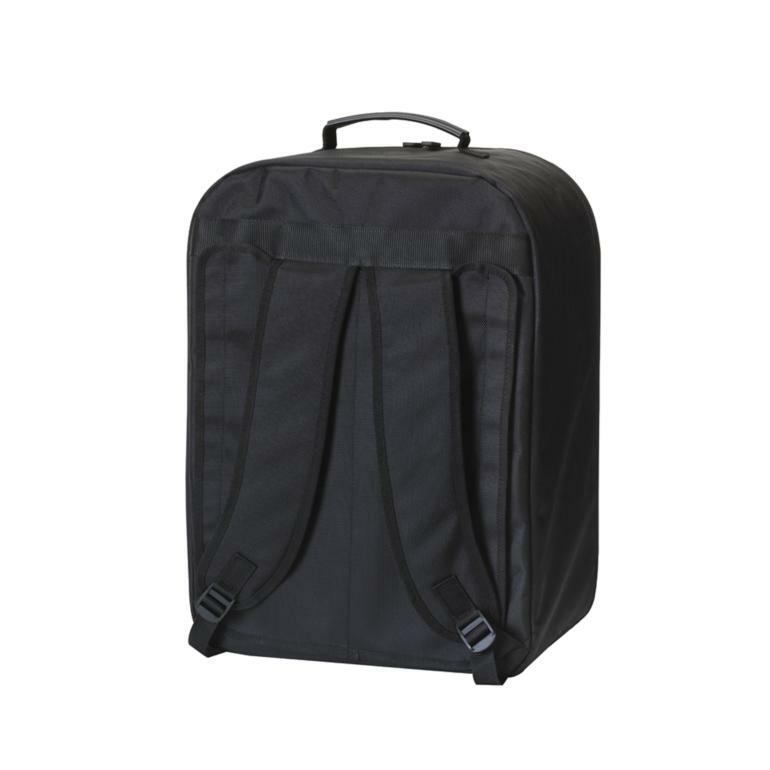 The larger zippered front pocket is meant to hold miscellaneous accessories, whilst the lid is padded for extra protection.